Originally, a conventional wood and drywall stair divided the upper and lower levels of this Chicago penthouse. 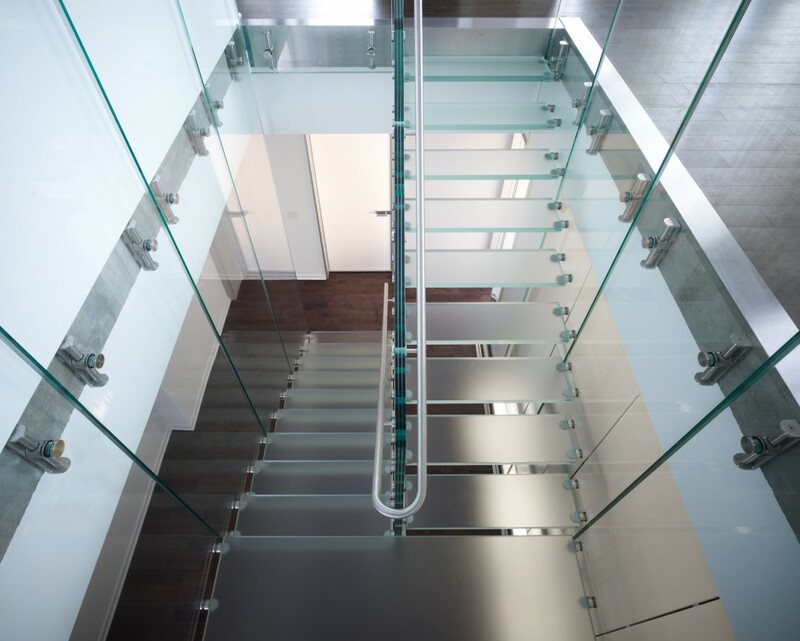 A structural glass staircase was installed, opening the space and serving as both function and art. This project was designed by Thomas Rozak Architecture. See more about the construction of this project here!